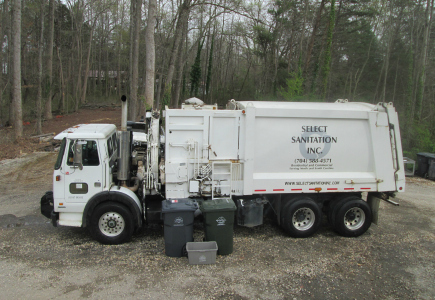 About Us | Select Sanitation Inc. Select Sanitation Inc., is a family owned business started in 1995. We pride ourselves on being an honest and hardworking company who strives to offer competitive pricing with dependable service. Our mission is to continually improve our services to enable us to be the best at what we do, while growing our business and ensuring we have satisfied customers at the end of each business transaction! We offer a fully automated trash and recycling service for residential and commercial businesses in Charlotte, North Carolina and the surrounding South Carolina communities of Lake Wylie, Clover, York, Indian Land and Fort Mill.